Have you ever wondered what would a four door version of the Corvette Z06 be like? 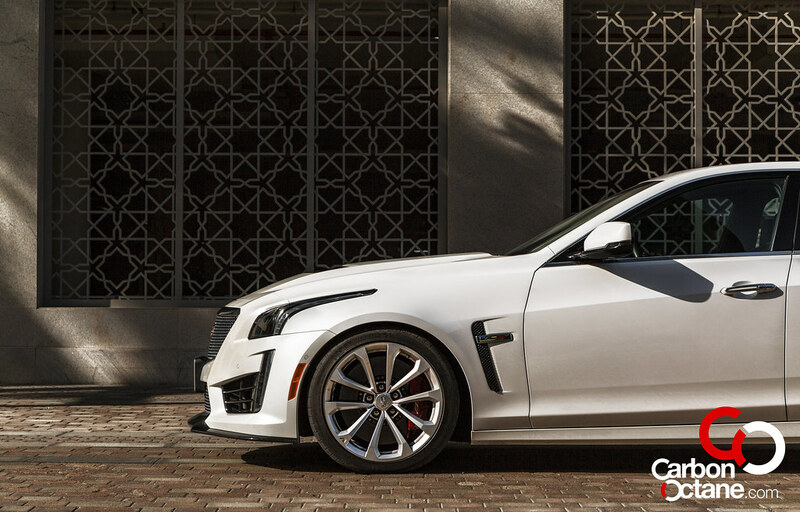 The 2016 Cadillac CTS-V is just that. Who would have thought that Cadillac would be making a tire shredding four door family hooligan transporter to compete with the likes of the M5, E63 AMG & the RS7. 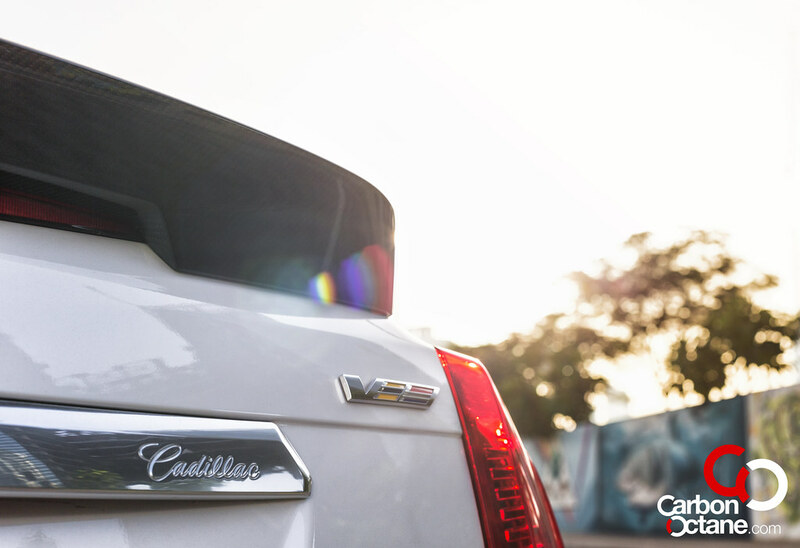 Antoine de la Mothe Cadillac would be proud that his coat of arms which adorns the grills of every Cadillac is finally able to chase down its German counterparts. Cadillac has changed the way they make cars and have started building cars for the drivers. This was the case when the introduced their ATS sedan and coupe and that stood dynamically superior to the legendary BMW 3 Series. We were in awe as to what was happening at Cadillac HQ. This was a brand that was known to build the quintessential big American spongy V8’s which the retired Americans loved. But times have changed and so did the demands and expectations of today’s drivers. 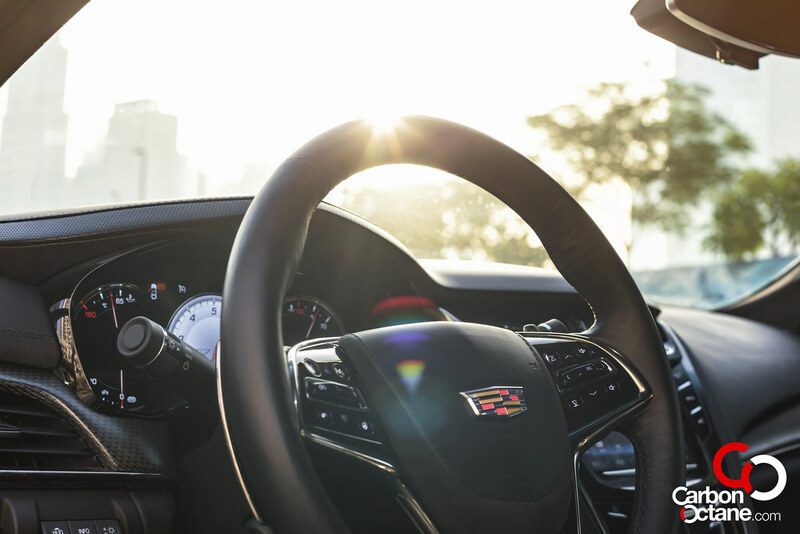 Cadillac has obliged and threw their previous guidelines out and started fresh with a new design trend in mind and European mechanical dynamics which seemed a taboo previously. We have tested the 2016 Cadillac CTS-V both at Yas Marina Circuit and on the streets of Dubai and that shows Cadillac’s confidence on this model. The game plan was to compete with the likes of BMW’s M5, Mercedes-Benz’s E63 AMG and the more recent Audi RS7. So in their quest of building an Autobahn annihilator they have packed in the 6.2L V8 Supercharged LT4 engine straight out of the Corvette Z06 and detuned it slightly to 640 horses. Just to give you guys some perspective, the German trio produce less than 600 horses but recently Audi has upped their game and came up with 605hp RS7’s which is still shy by 35hp to the CTS-V.
To control all these horses the CTS-V comes standard with a Brembo 6 piston front and 4 piston rear. This iron block works well at the track and started to fade only after repetitive track abuse. Otherwise the brake feel was progressive. 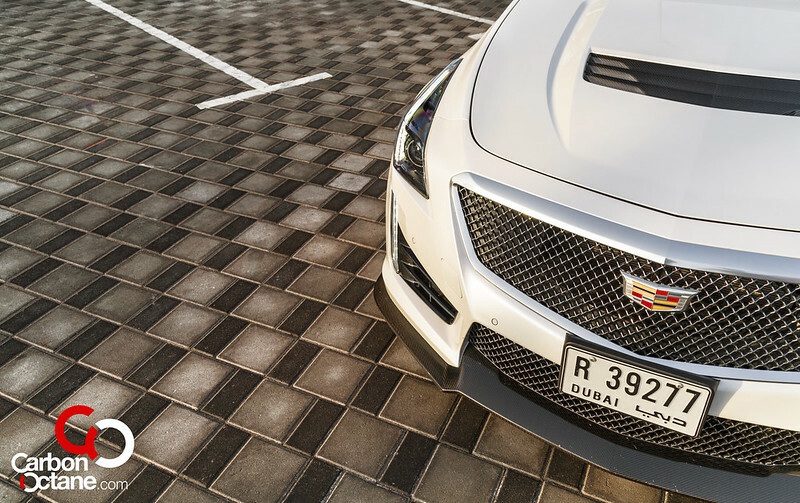 We doubt that the owners of the CTS-V would ever venture into the track but this 4 door sedan is willing to oblige those who are daring. 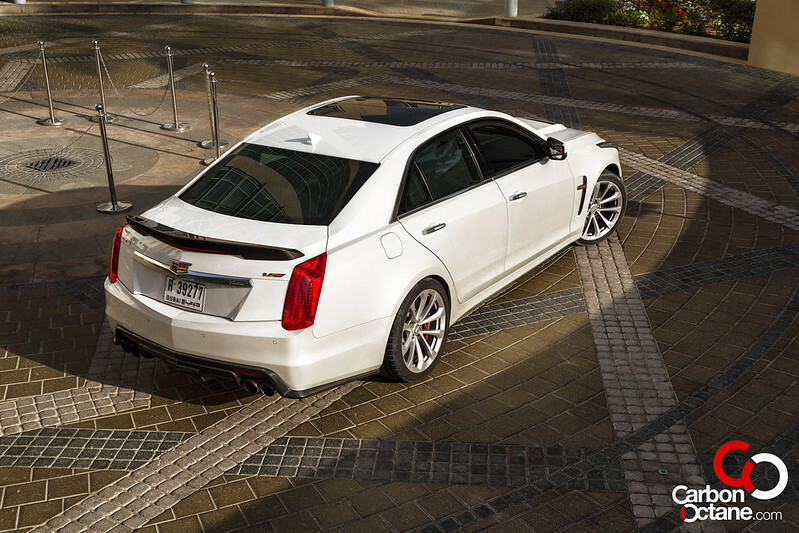 Let’s get back to what the CTS-V is all about. 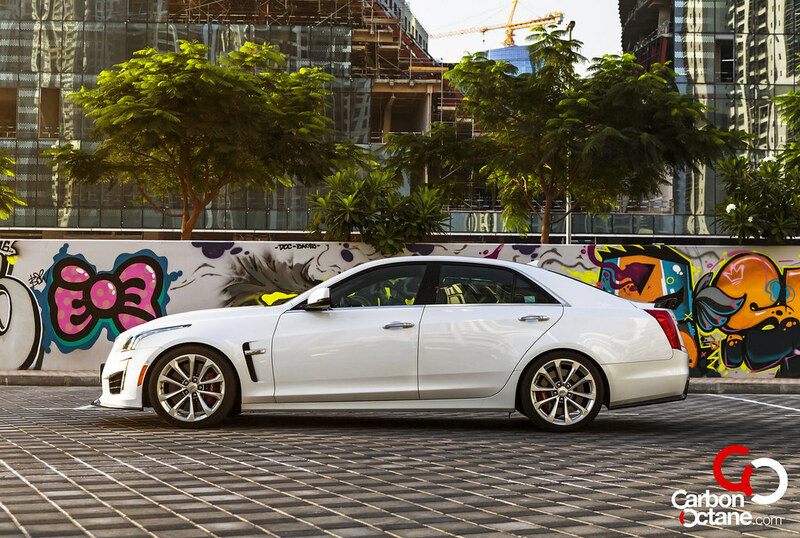 The CTS-V is a testament to Cadillac’s ability in building a luxury sedan competitive with the world’s finest sports sedans. The experience starts with its visual appeal. 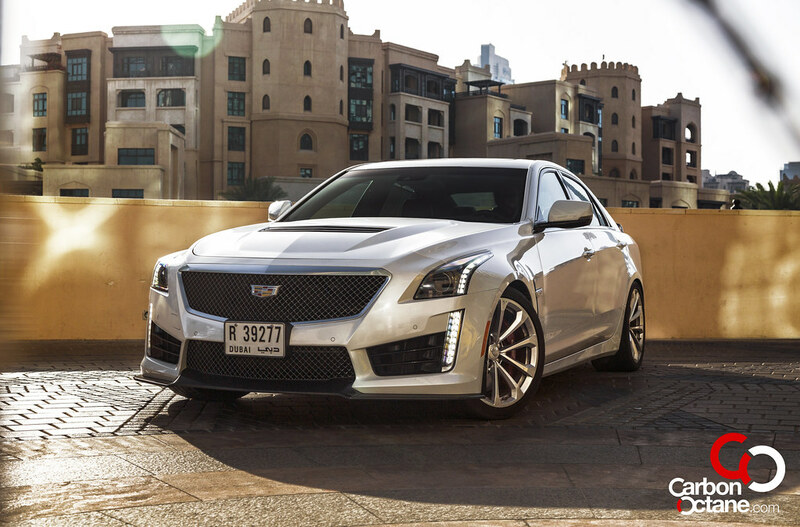 Cadillac has experimented with tight creases and bends on their sheet metals and have evolved to proportions which is quite prominent in the CTS-V. Just have a look at it, there are no rounded edges but lines that defines the car’s presence. 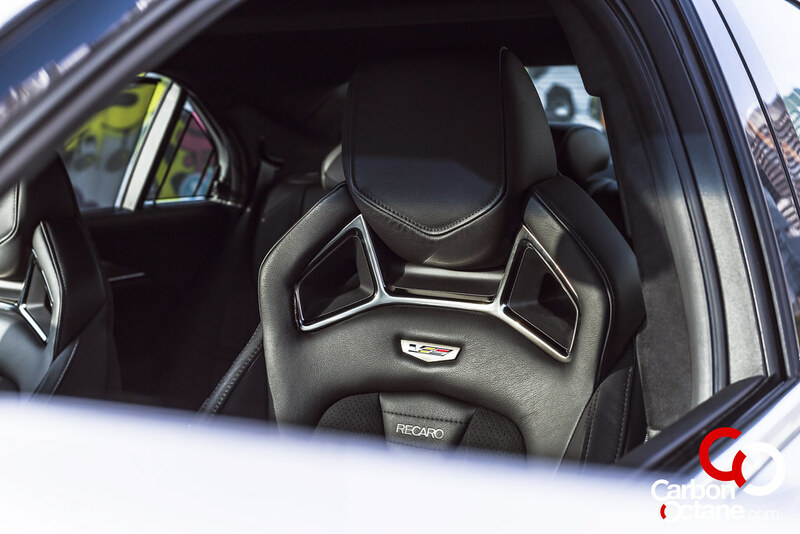 Once inside the CTS-V, you would see the Recaro seats which provides comfort and support. Ample of alcantara rounds off the finishing touches to its sporty nature. 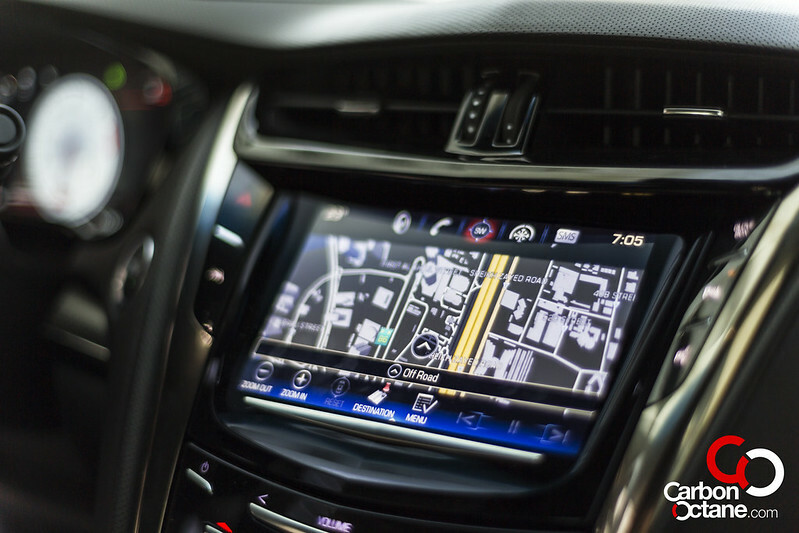 We were partial with the lack of physical buttons since Cadillac has opted for touch-haptic feedback on controls that regulates things like AC, volume and others. The center console layout is the same as the current CTS’s and tends to attract dust and fingerprints. This was out only grip on the experience, and we reckon that this is just an individual preference. 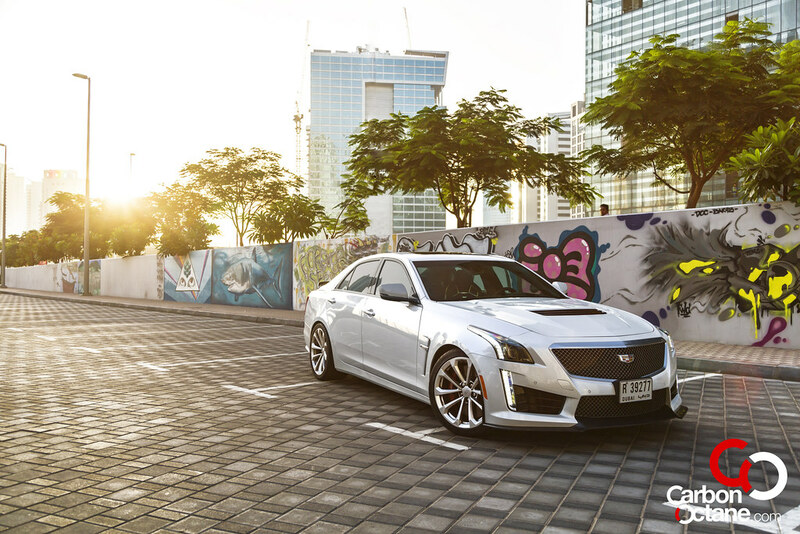 Driving the CTS-V on the roads is much like a normal sedan. Please bear in mind that the 640 horses are not there to bite at any given instant but lets loose when you want it to. 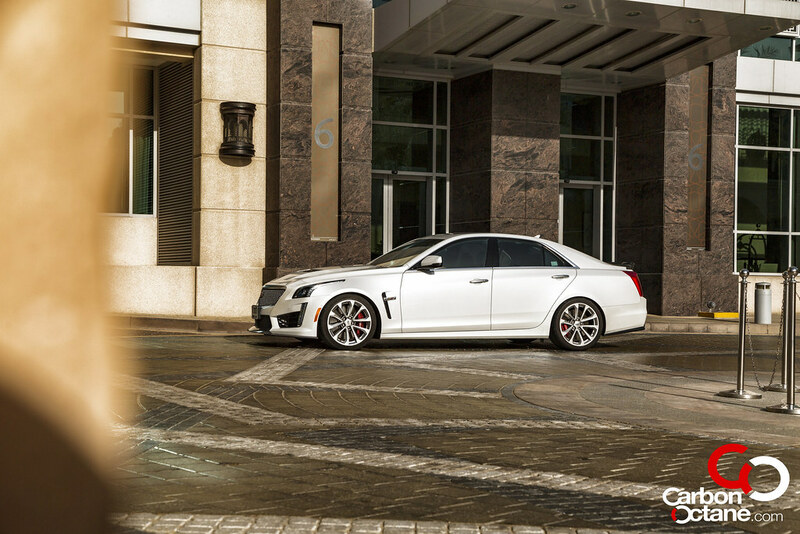 In touring mode, this Caddy is sublime and behave much like its little sibling, the CTS. But once you crank up the mode to “Sport” that’s when the fun begins much to the distress of the rear tires which often finds itself giving up from the onslaught of power. 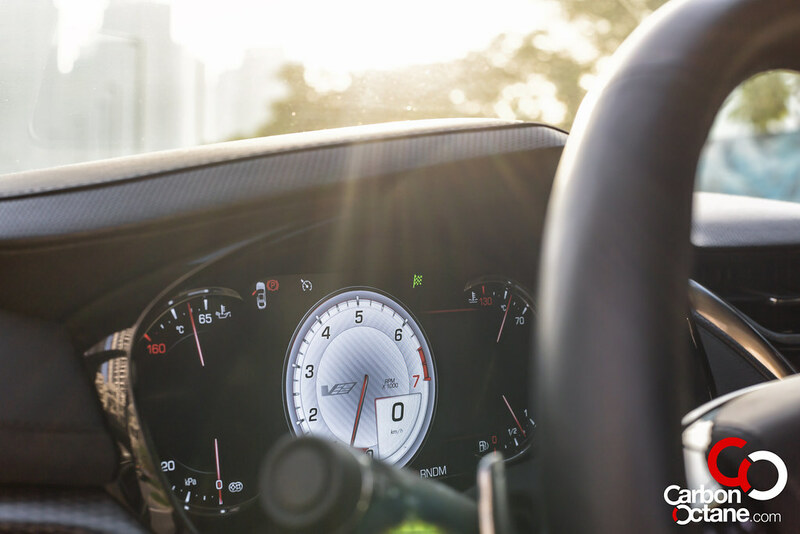 But you don’t need to be intimidated with the massive amount of power and torque on tap. The chassis is well sorted and though you feel slight weight transfer in sharper turns we had to wind its neck in order to get it to misbehave. When it did misbehave it was more like a slap on ones wrist and easily corrected. So how does it compare against the German trio in question. 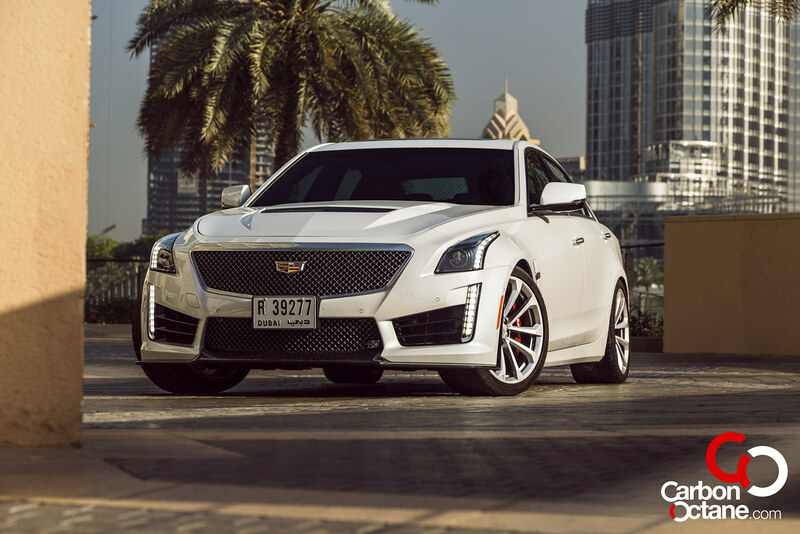 To put it into simple words, the CTS-V is an all American football player as compared to the German’s world champion team. There is a feel of finesse in the latter but the brute of the Caddy is inspiring and engaging. If you want to sweat it out for pure exhilaration then the Caddy is the one to get. It’s sure to get you sweating but while earning for more each day. 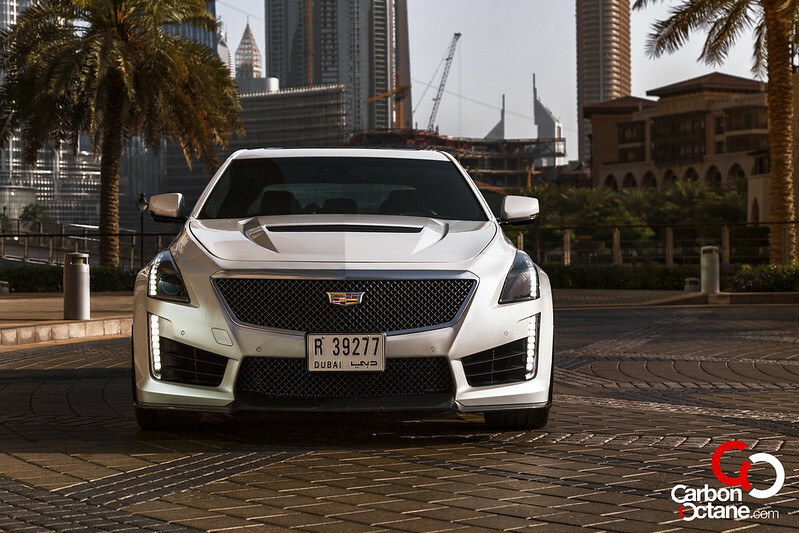 The gap is much smaller now and the German’s would definitely see a whole lot of the CTS-V on its rear view mirror nudging them on like a big bully. Who would have thought a Caddy would be such a thrill seeker.